I’m currently juggling work and placement alongside blogging but as a keen bookworm, I’m trying my very best to make sure I make time to read. 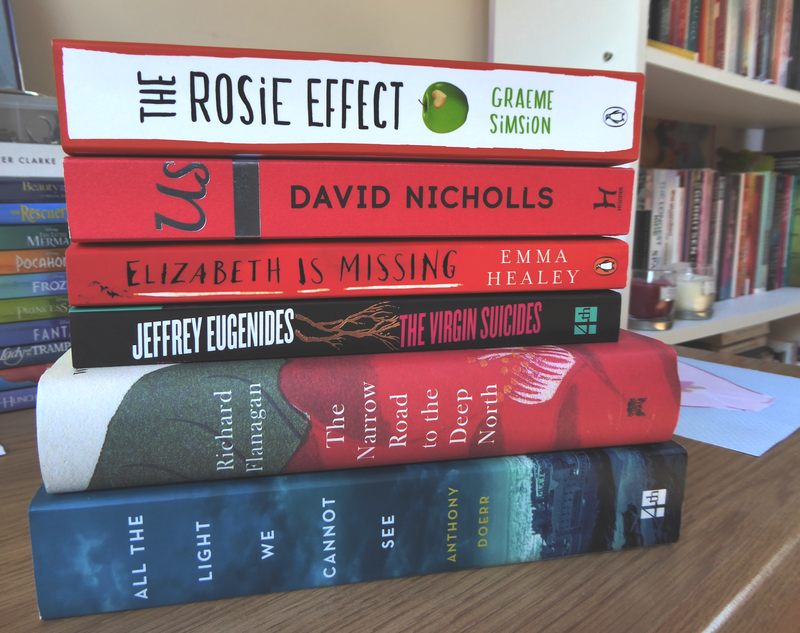 My to-read pile is sky high as always, but I’ve chosen 6 books to read towards the end of June and the beginning of July which will make up this post’s reading list. I’ve actually bought all of these books recently, as in in the last fortnight or so and they’re generally quite new to publication. I’ve been a big fan of David Nicholls for a while now, having read 2 of his novels already (One Day, of course, and also Starter for Ten) and I’ve been pretty excited to get hold of his newest novel. It’s been out for a few months now but I’ve only just bought my own copy of it. I’ve actually already started this one, but I put it down as I wasn’t sure if I felt comfortable with the subject matter. I’ll probably give it another go in the next few weeks because I hate to start reading books and leave them unfinished, and I’ve heard that this book really is worth reading, but I’m not going to force it and if I can’t get to grips with it I’ll most likely just give up. This is another one which was recommended to me by a friend and I can honestly say I know absolutely nothing about it whatsoever, other than the fact that the cover is gorgeous. It’s quite a hefty read so I might not manage this one in the next few weeks but it’s definitely on my list of my up and coming reads. I picked up a beautiful hardback copy of this one in waterstones for £5 while I was shopping a few weeks ago and I’ve had it on my reading list for months and months. It’s recently emerged on the amazon bestsellers lists so I’m hoping that is a positive thing, and means that it’s an amazing piece of literature. If it is even half as beautiful as the cover it’s onto a winner. I started reading this last summer when I was on holiday in Malta, but on my kindle. About halfway through the book, my kindle broke and it didn’t save where I was up to. I recently received a copy of the book in paperback so I’m going to start again and finally finish the book. I was enjoying it very much up tot he point where my kindle decided that it didn’t want me to finish the book, so I’m assuming that this is one I’ll get through pretty quickly. I read the Rosie Project a few months back and absolutely loved it. I found the entire concept hilarious and really enjoyed the characters so I’m really excited to read the sequel. A friend of mine has already read it and told me that it is just as good, if not slightly better, than the first book in the series so again, this is one I’m really looking forward to sitting down with and getting stuck into. What are you planning on reading these next few weeks?? Follow me on goodreads here!